A year ago a dream began that will soon play out into a reality where all uncertainty will disappear and abstract visions of what was dreamt of, will be given definition. I go back to the images stored in my memory of Cane, Cassius, and Novak, walking out of the dugout at Bishop Amat with the look of their spirits temporarily crushed and tears unashamedly pooling in their eyes knowing that the semis was their last chance of making it to CIF finals, even if that journey was somewhat unexpected. Then there are two faces that are more personal which have been repeated in my mind since Friday. It’s the looks on Brady’s and Cole’s faces last year with the same temporary dejection after being so close and wondering if in their senior year, a similar opportunity would present itself. And in large part by pure will of force and determination of those two seniors, it has, and you have no understanding of how grateful and relieved I am that those guys are getting this second chance. I don’t want to drag this on (but I probably will) and with all the love in the world I have for Jason, I really want the Sea Hawks to reach the finals for Cole and Brady because as seniors, “all the time in the world” is about to run out. I want this for all the seniors but as starters of that group and one of the South Redondo boys, Brady and Cole have that special spot in my heart going back to youth baseball. Moreover I could not be a bigger fan because of the qualities that are part of the character of the young men they’ve grown up to be. I’m also proud of those boys because a year ago, they did not have much of an idea if and where they would play college baseball and after a roller coaster journey, there is now more clarity that has emerged from that uncertainty. Even though others may get more publicity, the foundation for this latest run through CIF belongs to Cole and Brady if you ascribe to the theory by Einstein that “not all things that are counted, count and not all things that count can be counted”. Brady’s first hit to damage the confidence of Palm Deserts starter, the three brilliant at-bats leading to walks by Cole to set up scoring opportunities, and the stellar defense throughout the playoffs are the reason that this dream continues. I’m not sure how many people notice and it probably takes some familiarity with both boys but their is a perfect balance of focus, determination, and drive for one specific purpose on their faces and in how hard they’re playing and it’s the “perfect” approach to an imperfect sport ruled by multifactorial participants and situations. Understand I rarely pray for divine intervention for basic human events where God’s focus may be on more important global problems but I’ll tell you this right now. I have asked The Lord on multiple occasions that, if he can afford the generosity, have Cole and Brady be rewarded for their devotion to this team and their teammates with a victory. This may be selfish and single-minded but if “deserving” has anything to do with anything, then I’m not asking Him for too much. Along those same lines, I also pray that in whatever capacity J plays, that he can stride beyond the boundaries of the pain in his back and hopefully contribute something that helps the team and even more miraculously, be available to throw an inning or two if needed because he has the experience and boy, we might need him. However as a junior along with the other underclassmen, my wishes for him evolve around my primary hope for Cole and Brady not only because of what they’ve done for this team, but what they’ve meant. So I’ll end with this quote and I’ll continue with my silent prayers afterwards. “Dream and give yourself permission to envision a You that you choose to be.”— Joy Page. May it all culminate in how you envisioned it finishing this season. God bless. Boys, I sent this to you last year before the game against Bishop Amat. The message captures my same thoughts for tomorrow. “It is absurd to refer to today as “do or die” or “life and death” since death is too tragic and final to equate to a game! This is about life at its most extreme beauty. You guys get to experience so many of the emotional, mental, and physical complexities of actively living in such a brief time frame that is not frequently encountered. I equate it to the birth of my sons because it involved so much preparation, anticipation, and a juggernaut of feelings when they were born. In a way, this is a moment when a new part of you is born since you will discover so much about yourselves that will have an impact on your destiny and growth into men. Embrace today and the challenge before you. This is a time to catapult yourself into the act of truly being alive and don’t be intimidated by its intensity. You are surrounded by your teammates who as your brothers will be there if you falter and you will do so in return towards your shared goal. Identify what is in you, process the situation, and put everything you have and maybe more than you thought you had on the field. I’m not sure if this thought has crossed anyone’s minds as you enter today’s game but let me throw this out there. 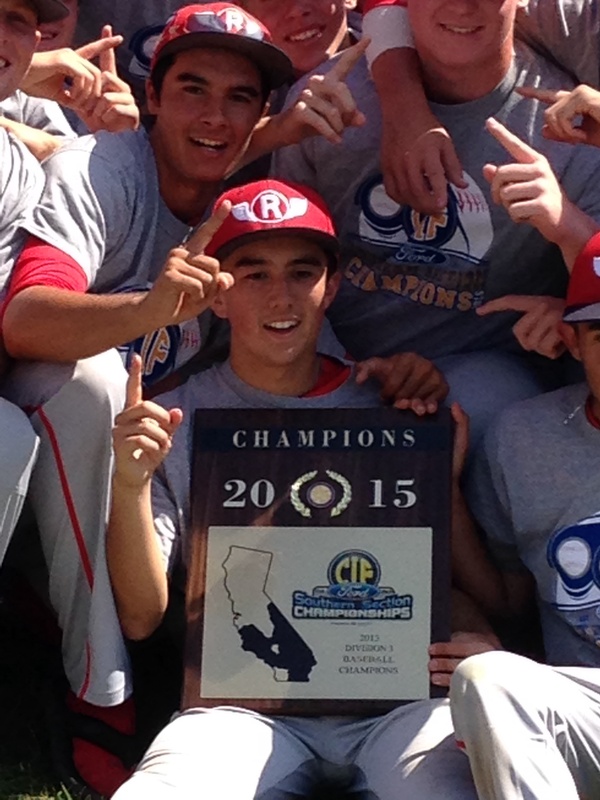 J and Cole, you are part of a very select and elite group of the Redondo athletic community. First you (along with Marco & Hannif) were, as far as anyone could recall, part of the only South Redondo little league (which no longer exists) team to reach the district finals. That was a fairly significant accomplishment since the league had been in existence for over 50 years and you got there with a team that few thought had the talent to accomplish it and as the two of the major drivers behind that run, this was a significant achievement. 4 years later you now are on a team that has done something that no other Sea Hawk team has accomplished in the 100 years of its existence by reaching the CIF finals and the common denominator between that little league and the present high school team? J and Cole together! 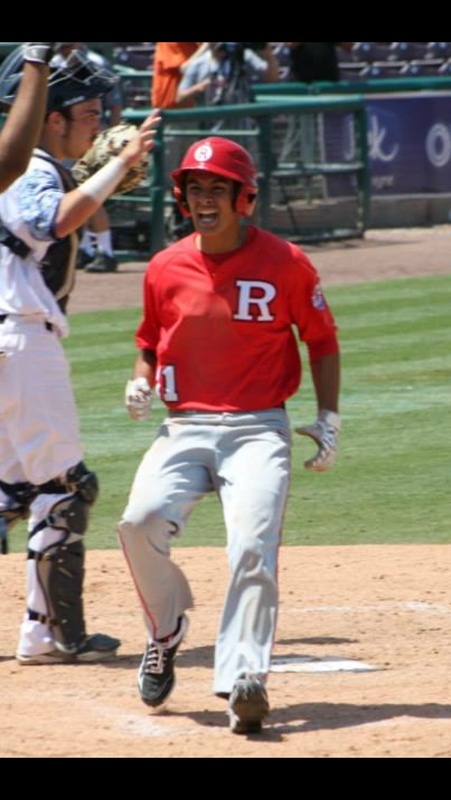 Matt and Marco too, but you were part of the team last year that reached the semifinals for the first time in almost three decades so you share an exclusive bond that involves two first-time achievements in Redondo sports history. I’ve said before that greatness is no accident so put forth a great effort with “Dico” determination and intensity so that great performances, win or lose, are the memories that are taken away from this game. It’s not “life or death” so don’t put that kind of pressure on yourselves because it’s counter-productive and disengages you from what this truly is about and it’s this: you have one of the best opportunities of your young lives that you get to be a participant of that only a few players each year get to experience and encounter. J, the back is nothing new and I know you’ll work through the pain. Boys, remember what I said about hope and faith that no matter what happens in the past, each new day has the potential to turn out to be the best day of your life depending on the “crap” you decide to let go that’s happened, and the effort you put into that new day. Why shouldn’t today turn out to be that day, or at least in the top 5. Just one great swing or play at the right moment when it’s needed is all it will take! My prayers were answered about you guys reaching the finals so I don’t want to be impudent and bother God again. However last night I did reach out to my other higher powers to watch over my biological and adopted sons. I asked my Mom and Dad to watch over you two and fill you with the love I know they have for you and empower you with all the mental and physical strength that you were blessed with at birth, through the generations of your family whose names you carry, and all that you have discovered and built on your own leading to today. Good skill and luck! I love you both (and Brady) and I think you know it reaches well beyond the baseball field and is absolute.